1966 Domingo A. Capria starts his activity in a small rented premises in the area of Barracas, equipped with only a parallel lathe, a grinder and a bench drill, manufacturing spare parts for the food industry. 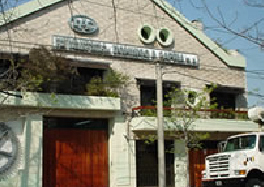 1969 The company acquires more spacious premises at Avellaneda, allowing him to increase the number of machines. Here he also started the manufacture of parts for elevators. Due to the increasing of the productive activity a new 120 m2 warehouse in Lanus West is purchased and further adapted as production grows. 1977 A warehouse of 800 m2 is built - modern and comfortable, fully air-conditioned at 20 ° C, suitable for measuring parts with advanced precision and with a high strength ceramic floor. 1980 Acquires the first machinery with numerical control (CNC) - mark Pontiggia ppl - with Olivetti control computer 32, which caters for the ever increasing demand for parts. 1990 In order to continue expanding he bought the adjoining property, reaching 1400 m2 with an installed capacity of 400 kW and incorporating new high technology machinery. The emphasis is on equipment using horizontal and vertical centers, such as Zayer kfu (around 3,000) and Danobat Danumeric (8es), along with the latest generation of tools. 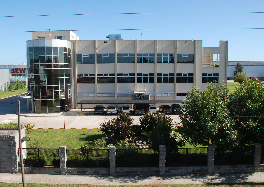 2003 he purchased more then 10,000 m2 in the Industrial Center of Garin. 2004 The construction of a new industrial plant of 4000 m2 with new machines and installed power of 1280 kw with better facilities. 2005 CAPRIA begins to operate in the Industrial Park of Garin.